To skip directly to a subject click on underlined subject. To return to this Index click on your browser’s Back button. It is the objective of the Kolomea Research Group (KRG) to collect and share information within the Group and with others about the Kolomea AdministrativeDistrict (KAD) and its subdivisions and towns/shtetlach. This information may include, but is not limited to, data on individuals and on community social, religious, economical, political, and environmental matters of interest in genealogical research. The KRG shall acquire data, conduct data analysis including translations and transliterations into English, format the data for KAD web site and emails, ensure data quality, provide data storage and dissemination through emails, web sites, forums, seminars, newsletters as appropriate. The KRG shall try to raise funds to donate to Gesher Galicia and JewishGen for their support of the Group as well as to pay for acquisition of documentsof interest to the group. People with common interests in our mission and operations for the Kolomea Administrative District are invited to join our Group. Complete the Membership DATA FORM and submit it to the Group Coordinator. People with interests in the towns or shtetls of the Kolomea Administrative District (KAD) should consider joining GG SIG. GG SIG is the umbrella organization for research groups covering Administrative Districts and Jewish Subdistricts; such as Kolomea, that existed during the Austrian rule of Galicia. Membership in GG SIG can bring unique benefits to researchers including online Internet and hardcopy information resources. Once a year GG mails out the, Gesher Galicia Family Finder, a compendium of sorted lists of members, their surnames of research interest, and their towns and shtetls of research interest. On a quarterly basis, GG mails out The Galitzianer a newsletter of immense value to Jewish genealogy researchers. This newsletter publishes status reports on the activities of Galicia-related research groups. It publishes articles on the history of Galicia towns and shtetls, on travel to these places, and on personal experiences and lessons-learned in obtaining records or conducting research. GG sponsors an online message board for ther asking of questions and the exchanging of information related to research. There are over 1,000 GG members who may tune in each day to the message board. Some are asking questions or seeking advice on the conduct of research while others are offering help. It is a splendid way of obtaining good information fast from a variety of people with diferent backgrounds and experiences. GG has its own web site which provides information on the SIG, surname and town information and details on how to join the SIG. Do yourself a favor, go now to the Gesher Galicia web site to read more about the SIG and to join. Since JewishGen, Inc. is hosting this web site, it is important that those of us who use this site to support JewishGen. Financial support can be made to JewishGen through JewishGen-erosity. Support in the way of contributing information and research assistance can be made to several JewishGen projects; Yizkor Book Project; Jewish Online Worldwide Burial Registry. The lifeline of the Kolomea Research Group (KRG) and this its showcase Kolomea Administrative District (KAD) web site is information produced from research projects. Researchers are needed to perform the work to produce information about our ancestors from the KAD and about the socioeconomic, government, religious, and physical environments in which our KAD ancestors lived, worked, and died. Much of the relevant source information is not in English. Translators are often needed to translate into English from (1) Yiddish and Hebrew (in Hebrew and Latin alphabets), (2) Polish, Russian, and Ukrainian (in Cyrillic and Latin alphabets), and from (3) German. If you wish to volunteer some of your time as either or both a researcher or translator on any of the following research projects, please contact the KRG Coordinator. Provide your name, email address, whether you wish to assist with research, translations, or both, name(s) of project(s) you wish to work on, and briefly describe any research or translation experience that you have. If you have already performed research in any of the listed projects and would like to have your work posted on our web site, please submit a brief description of what you have to the KRG Coordinator. You do not have to be a member of the Kolomea Research Group to participate in these research projects. If you have an interest in any of the towns and villages that comprised the Kolomea Administrative District during Austrian-Hungarian rule, you are welcome to join the KRG. There is no cost to join. Please complete the Membership DATA FORM and submit it to the Group Coordinator. Every topic heading listed on this Main Page represents an item for research. TAX LIST; OCCUPATION LISTS; NOTARY RECORDS; LOCAL GOVERNMENT. 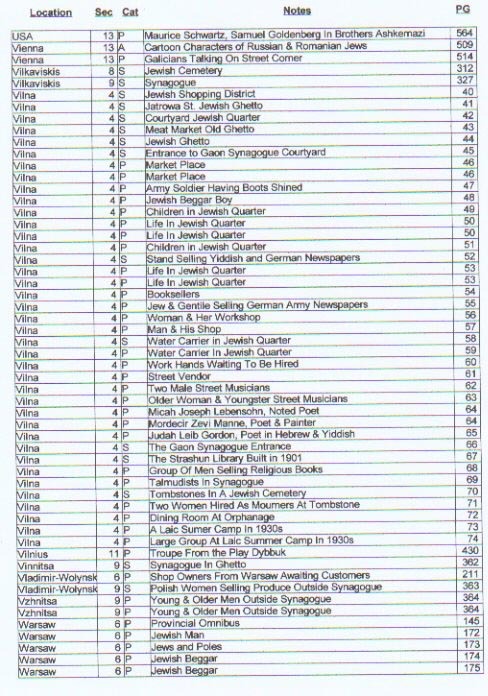 If you wish to learn in which archives in Eastern Europe these type of civil records as well as vital records are stored an excellent resource is Miriam Weiner’s Routes to Roots Foundation web site. (1) Individually order directly from the archives. (2) Individually hire a researcher or obtain a volunteer to visit the archives and make notes from the records desired. to the KRG Coordinator, who will assemble any other persons of similar interest to form the group. Click here for the Indices. The KRG Coordinator holds a list for the 18th Zionist Congress and one for the 19th Zionist Congress. 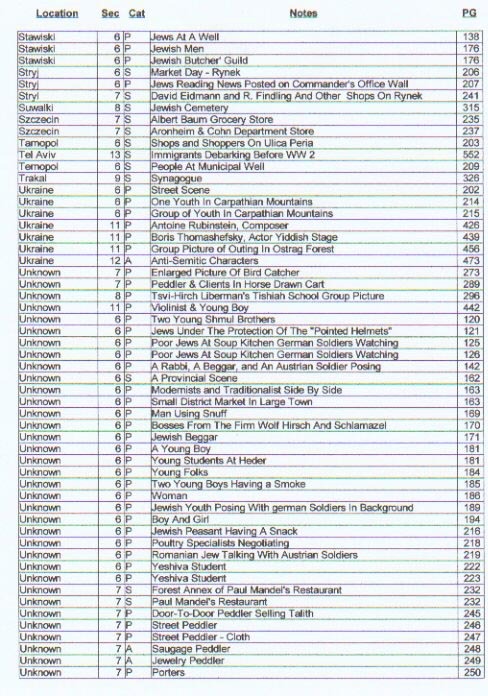 If you want your surnames of interest searched on these lists contact the KRG Coordinator. Provide your name and email address and the surnames with given names, if known,to the KRG Coordinator. The Church of Jesus Christ of Latter Day Saints (Mormon Church) and the Jewish Records Indexing-Poland (JRI-PL) organizations have been scouring archives for records. The Morman Church has been microfilming records in Eastern Europe archives. 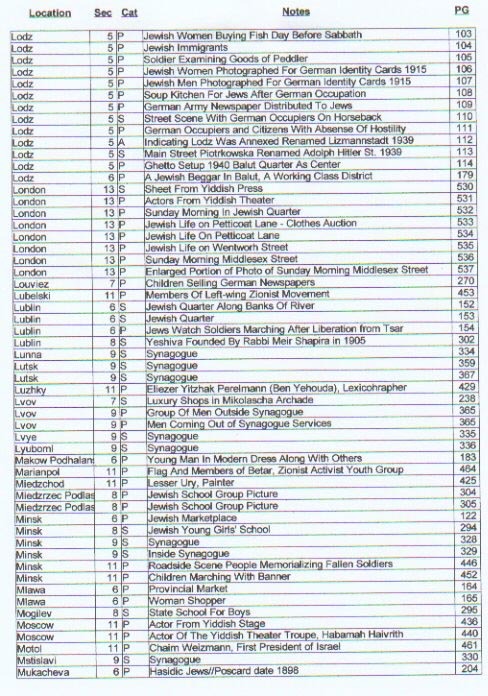 The JRI-PL has concentrated on indexing records from Polish archives and placing these indexes on the JewishGen web site . The Mormon Church Family History Library, which does not limit its microfilming by religion, maintains a catalog of microfilms it holds. JRI-PL generally focuses only on records of persons known or believed to be Jewish. A Potential Source For Family Records report is provided for those researchers who want to investigate the holdings of those archives which may have records covering the towns and shtetls of the Kolomea Administrative District. The report lists archives and pertinent information related to holdings and guidelines for ordering copies of records. The Kolomea Administrative District (KAD) in name ceased to exisit when Austrian rule ended over the Galicia region. Towns within the KAD at the beginning of the Galicia era often had Polish spellings. As control over the area changed, many town name spellings changed to reflect the government in control. The Town of Kolomea was a central town to the KAD. Over the course of history several variations in town spellings have arisen. It is unclear why so many variants pop up. Some variants may be due to transliterations into Russian, Yiddish or Hebrew then into English. The researcher should keep in mind that certain records from a given time period will bear the town spelling in use at that time. However, the researcher must be aware that certain web sites choose to record town data under the current spelling of the town. For example Galicia records from say 1877 would probably use the spelling Kolomea, but those records in JewishGen databases would probably be filed under Kolomyya, the current spelling. JewishGen tends to use the current spelling of towns regardless of the era from which the records were created. Other web sites tend to do the same thing. To ensure a complete search for pertinent records, searches should be conducted using all variants of the town’s spelling. Kolomea’s variant spellings are listed below. Kolomea is of German origin and was used in old Galicia.Ukrainian is the current spelling. Polish was an interim spelling. Several interesting versions of the origin of the town name, Kolomea, have been obtained. The versions are presented here in no particular order. Comments on these versions or suggested other versions may be submitted to the KRG Coordinator . 1. According to tradition, there was in Kolomea in ancient times a Roman settlement, Colonia; hence, the name Kolomea. 2. Another tradition claims that the town Kolomea was named after the Hungerian King, Koloman, who ruled at the beginning of the 13th century. 3. The name Kolomea is believed to be derived from Polish mountain inhabitants whose name for the River Prut was Myja and the Polish word kolo meaning near; thus Kolomyja (Polish spelling of the town) meant a town near the river Myje. 4. Another play of the Polish meanings of kolo and myje is said to have produced the name Kolomyja. Kolo in Polish can also mean wheel and myje means wash. The combining of these two words derived from the fact that wagons were run through the nearby river to wash the mud off the wheels. 5. The origin of the town name was a corruption of the Latin word columba meaning dove or pigeon. There were thousands of wood pigeons which frequented the forests of the region. These pigeons were also a staple of the local diet during medieval times. SURNAMES OF INTEREST: If you have information or questions about the listed surnames please provide your name and email address and your surnames of interest to the Group Coordinator. You will be placed in contact with the appropriate Group member. What’s in a surname? For those of us researching our roots, looking for bits and pieces about our ancesters, there is quite a lot of information. Fellow KRG member Saul Zeichner has researched the subject. He tells us in his report the origins and meanings of our surnames of interest. The surname may provide clues as to the person’s status in the community, occupation, birthplace, or physical characteristics. What impacts do marriages have on surnames?Our report Surnames and Marriage addresses this question. Mapquest information. A map showing Kolomya (a variation of Kolomyya) in the Ukraine can be seen at http://www.mapquest.com/maps/map.adp?latlongtype=decimal&latitude=48.5333&longitude=25.0333. NOTE: This is not a live link, you need to enter this URL into your browser to go to the address. Once you reach that web site, there are several options for enlarging the map to see surrounding towns and shtetls and for shifting the locus of the map. A List of Towns comprising the KAD with variations in spellings and map coordinates. See topic heading, ALTERNATE NAMES above for additional non-official variations in Kolomea spellings. Alexander Sharon has provided invaluable information to aid in locating records of interest to the KRG. The key to this information is the administrative system established during Polish rule over Eastern Galicia. See Restructured Kolomea Administrative District While Under Polish Rule for information on localities involved and locations of archives. Donations of your historical or contemporary photographs of Kolomyya (formerly Kolomea and Kolomyja) are invited. Contact the KRG Coordinator to arrange donation your photographs. To donate photographs you must either own the rights to them or have obtained permission from the owner to post them on this web site. No payments will be made for the right to post photographs. Recognition will be made of the donor. During a visit to Kolomyya in 1992, Mel Snyder photographed some street scenes and points of interest. Mel has donated these photos for our web site. Set 1 and Set 2. KRG member Charlie Roberts purchased a large post card showing a 1907 scene of Kolomyja Ringplatz. A reduced-size print is provided to give an overview of the scene. A full size print is provided to shown more detail. He has donated this postcard for this web site. Mike Kalt has donated several interesting photographs that he took during a visit to Kolomyya in September 2000. His visited preceded one planned by the President of the Ukraine. In preparing for the President’s visit the exteriors of many buildings were renovated, but an old Jewish area appears untouched. Of particular interest are photographs of a synagogue in Kolomyya and of an old jewish cemetery turned into a sports field, and another Jewish cemetery used as a landfill. Dr. Ben Nachman has donated some excellent photographs that he took of a Jewish cemetery in Kolomyya in 1988. The value of these photos is that they show the condition of the cemetery before it was completely wiped out by vandals and weather. According to Dr. Nachman, he believes his photos were of the cemetery described elsewhere on this Main Page as #3, U.S. Commission Report No. UA82220103 which was based on a survey conducted on 18 September 1996. There is panoramic view of the cemetery as seen in 1988. There is a closeup photo of a unique tombstone as well as closeups of other stones. There are more closeup photos of stones as well as a section of the cemetery wall as seen in 1988. Information about KAD and its towns' social, economic, physical descriptions. May include abstracts of government and other documents listing surnamesof interest. Pictures of old Kolomyja Town seals and coats of arms along with some photographs of the town can be viewed at another Kolomyja web site. The letters and documents summarized or presented in this section provide snapshots of the comings and goings of Jewish life in Kolomea (circa 1776-1918), Kolomyja (circa 1918 -1939), or Kolomyya (circa 1939 - Present). The KRG acknowledges with much appreciation the generous contribution of letters and documents by Rabbi Moishe Leib Kolesnik of Ivano-Frankivsk, Ukraine. The Rabbi has been collecting such materials from all over his Oblast. The KRG Coordinator appreciates very much the volunteer KRG and non-KRG member volunteers who have contributed to the translation of the documents from Polish and Hebrew into English. The original language of the letters and documents generally is in the language of the times; German, Polish, Russian, and/or Ukrainian. The use of Hebrew and Yiddish may be found in all time periods. From time-to-time it is possible that the translations of terms or phrases may be in conflict between translators. In the very first letter summarized below the Polish term, Zydowska Gmina Wyznaiowa raised a controversy. The original translator came out with Parish of Jewish Denomination, but indicated that a lack of Jewish background made the translation suspect. A request for help on the Galicia message board received several responses. Major discussions were provided by Alexander Sharon and Brian J. Lenius and they differed in translation. Mr. Sharon applied a more liberal approach and said the term was, Jewish Community Council. Mr. Lenius applied a more literal translation and submitted, Jewish Religious Community. A Seal appearing at the end of the letter used the term Committee of... Since the letter was signed by the President of the Committee, the KRG Coordinator settled on using the term, President of the Jewish Committee in the summary of documents where that Polish term was used. In order to conserve limited web site space in most cases only summaries of the source materials will be posted. If the source material lists surnames and the list is not too long, the surnames and related entries will be posted. If anyone wants to view the original material, they can submit a request to the KRG Coordinator . This document is undated and apparetly is submitted by the electorial committee. The copy received by the KRG Coordinator is of poor quality. Many of the words are illegible. The translator attempted to supply possible words that were missing to give meaning to the text. The list apparently was submitted by a Mr. Mojzesz Taubner, delegate, address Mnichowka 13, and a Dr. Agner, lawyer and deputy delegate, address Sheszkiewicz 3. The list follows. 23. Leizor, Schmidt, merchant, Rydelo? The signature on a letter to the Mayor of Kolomyja announcing a change of address for Agadas Israel is illegible. The change was from Kopernik Street 11 to Karpinski Place 12. The letter is dated January 18, 1937. The arenda (a lease) proved to be both a boon and a bane to Jews in Polish and Lithunanian lands from about the 14th century to around late 18th Century. Understanding the arenda system and arendars (those who purchased arenda) may go a long way in explaining the riches of some Jews in that period that was handed down to their heirs. It may explain the rise in anti-semitism during the later part of that period. In order to provide this understanding the KRG has commenced a research project on the arenda system. A report on initial findings can be reviewed at The Arenda System. A volunteer is needed to coordinate research into the arenda system. Information on four cemeteries that existed in Kolomea is presented below. There are alledged contradictory facts to the US Comission reports summarized below. Anyone who wishes to comment on this information or provide additional information on past or current status of these cemeteries or other ones that may be in use are invited to contact the KRG Coordinator . Before and after photographs of Jewish cemeteries serving Kolomea Administraive District Jews will be most welcome. They can be submitted to the KRG Coordinator. 1. US Commission Report No. UA08220101 on survey conducted 1October 1996. This cemetery was located at center of town , Lermontova Street. No other towns used this unlandmarked cemetery. The isolated urban flat land has no sign or marker. It can be reached by turning directly off a public road. Access is open to all. A broken fence with no gate surrounds the site. No stones are visible. Location of removed tombstones is unknown. The cemetery is not known to contain any mass graves. The municipality owns the site, which is used for recreational purposes. The pre-burial house contains sports equipment. The cemetery was vandalized during WW II. There is no maintenance and no structures within the site. 2. US Commission Report No. UA08220102 on survey conducted 18 September 1996. This cemetery is located at center near lake. No other towns or villages used this unlandmarked cemetery. It is isolated urban flat land near water and has no sign or marker. It can be reached by turning off a public road and access is open to all. No wall or gate surrounds the site. No stones are visible and location of tombstones is unknown. Cemetery contains no known mass graves. The municipality owns the site and it is used for recreation. The site boundaries are unchanged since 1939. The site was vandalized during WWII. The tomstones were torn down during the period 1941 - 1950. No maintenance is performed, no structures exist within the site. 3. US Commission Report No. UA082220103 based on survey conducted 18 September 1996. This cemetery is locatedat north of town near School #3. The last know Sadgorskaya Hasidic burial was 1960. No other towns or villages used this cemetery. The isolated urban hillside site has no sign or marker. Can be reached by turning off a public road. Access is open to all. No wall or fence surrounds the site. There were 1 to 20 common stones none in origial location. 75% of survving tombstones toppled or broken date from 1930. Removed tombstones were incorporated into roads and structures. There are no known mass graves. The municipality owns the site and it is used for recreation. The cemetery boundaries are smaller than they were in 1939. The site was vandalize at times during 1986-1996. There are no structures within the site. The pre-burial house is used as garage and storage of sports equipment. 4. US Commission Report No. UA08220501 based on survey conducted 18 September 1996. The mass grave is located at northwest part near village of Sheparovtsy. The unlandmarked Jewish mass grave was dug in 1941. No Jews from other towns or villages were murdered here. The last known Hasidic burial was in 1944. The site is reached by turning directly off a public road. No fence or walll surrounds the mass grave. There are 20 tombstones all in original places. None toppled or broken and date from 1967. Location of removed tomstones is unknown. The site has signs or plaques in local language. The municipality owns the site. The mass grave is visited at times by tour groups. Some mainytenance is performed at the mass grave to clear the area. There are no structures within the limits of the mass grave. List of reference sources with notations on content and usefulness. First-person and third-person recounts of historical and contemporary life in KAD. Lina, a native of Kolomea, recently turned 93 years old. At a recent family reunion she told KRG member Saul Zeichner about her early life in Kolomea and the need to flee to escape the ravages of WWI. Here is Lina’s story. Sam Weiser shortly before he died in 1975 recorded several hours of his life history on audio tapes for his son, Alan. Alan compiled the transcribed tapes into an autobiography, Sam’s Legacy. Excerpts From Sam’s Legacy tells of his early life in Kolomea. A 70-page book written in old Hebrew tells about life in Kolomea from its early beginnings to around 1912 as related by a son, Chaim Tzvi Teomim, of a Kolomea rabbi, Yaakov Teomim. Excerpts from the book are provided. 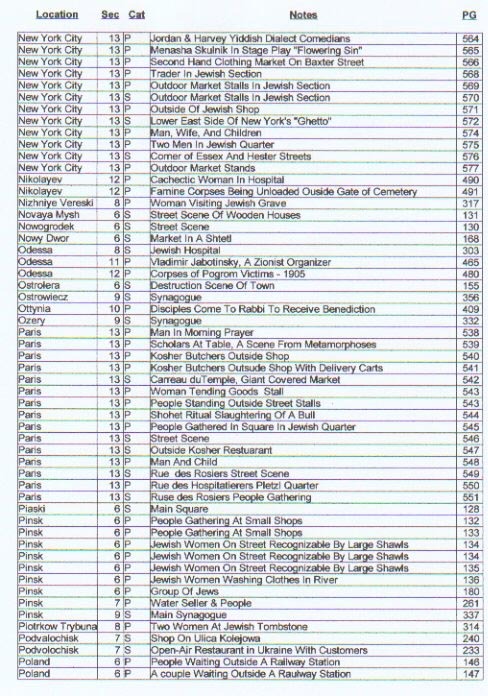 Information related to WWII actions and events including ghetto, deportations,exterminations, concentration camps, and survivor data with focus on Jews from KAD. Holocaust survivor, Ariah Suchman, has published a book covering the Holocaust in Kolomyya from about September 1941 to March 1945. A review of his book is provided. 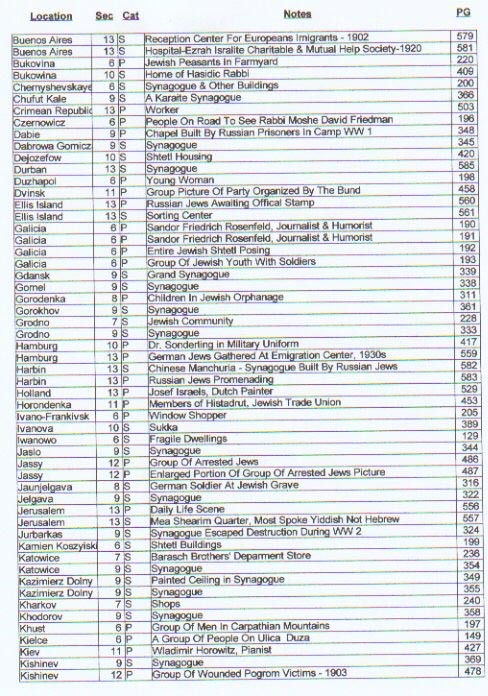 A List of Holocaust Survivors who were former residents of Kolomyja is provided. Fraternal, religious, commercial organizations that existed in KAD and/or were formed from people from KAD in other countries. Abstracts of directories listing KRG surnames of interest are provided under this heading. Excerpts from a 1891 Galician Business Directory are provided for KRG membership review. Links to databases of interest to KRG. The U.S. National Archives has files of Manifests of Alien Passengers which include a large amount of data on the alien at time of entry to the United States. Refer to IMMIGRANT SHIP PASSENGER LIST OF NAMES to learn more about aquiring these important records. The sages tell us that experience is the best teacher. Given that this is true, then it follows that genealogy research experiences from lots of people will teach us even more about how to go about finding relatives and records of our surnames of interest. With that motivation in mind this section will be devoted to the posting of individual experiences of our Kolomea Research Group members in the search for missing relatives and records. Positive and negative experiences both have value as teachers. Both will be posted as reported. Cindy Munns has a very positive story to tell. Here is Cindy’s geneaology story. JEWISH RECORDS INDEXING-POLAND AGAD PROJECT/KOLOMYYA. JRI-Poland AGAD Project/Kolomyya has contracted with archivists from the Old Archives (AGAD) in Warsaw to index a new batch of vital records covering the old Eastern Galicia area. There are over 38,000 birth, marriage, and death records from Kolomyya (Kolomea in previous Galicia era) and possible surrounding villages/shtetls spanning the period 1865 to 1903. As more records reach a 100 years old they will be moved to AGAD and become available for indexing. A page has been setup to acknowledge and thank those who have submitted contributions. Refer to the list of KEY-CONTRIBUTORS. After finding birth, marriage, or death records of interest in the AGAD Index, many researchers then order copies of such records from the Archives through special arrangement and cost with JRI-Poland. To aid researchers unfamiliar with the language used in these records, a Glossary Of Vital Records Terms is provided. KRG member Paul Auster, with inputs from KRG member Ron Lahav, has prepared the first installment of this translation aid. If you would like to make a contribution to this worthy cause or would like additional information, contact the AGAD Project/Kolomyya Town Leader. 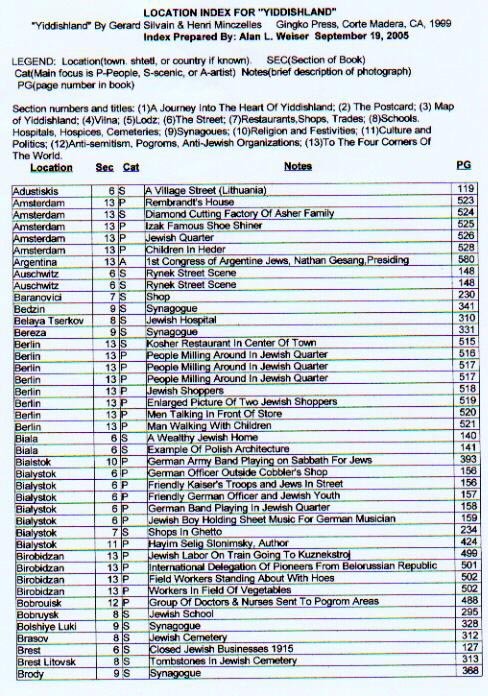 YIDDISHLAND POST CARD LOCATION INDEX. Yiddishland by Gerad Salvain & Henri Minczelles, Gingko Press, Corte Madera, CA. 1999 (English version) and Hazan Press, France, 1999 (French version) is a photographic memory of times gone by in a region designated by the authors in gray on the MAP as Yiddishland. The book contains 550 photocopies of Yiddish-theme post cards from around 1900 to 1945. Although most of the post cards are related to Yiddishland, there are scenes from far away places such as Brazil, USA, and Israel as well as nearby places such as Germany, and Holland. Two sample photographs are provided: A Group Of Children in the Carpathian Mountains above Kolomea and Jews In Kolomyya Welcoming Charles I Emperor of Austria/ King of Hungary. The Location Index was prepared to assist researchers in determining whether the book, Yiddishland contains post cards associated with specific places of interest.